Midwest Athletic Fields covers every aspect of an athletic field, from new field construction and renovation, to maintenance and turf care. We are committed to increasing field playability and safety, reducing maintenance time and costs, as well as enhancing field performance and appearance. We know that regardless of the level of play, the most important factors in your athletic field is a stable surface, proper grade, and durable turf. Our staff will identify areas of your field that need improvements. We'll create customized solutions to address those areas, while taking into account your budget and organization's needs. Whether you are a youth organization, school district, community, college, professional club, architect, contractor or other organization you can count on Midwest Athletic Fields for professional, high quality results. See our services page for more information. We also have a variety of products to browse through. Also check out our industry links page to see information about companies we work with. Let us use our experience to determine the proper materials and methods to best suit your environment and your field performance needs. Call 920-378-0650 or Contact us through our web form for more information. © 2017 - 2019 Midwest Athletic Fields, All rights reserved. 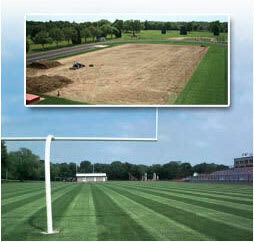 Page Summary: Midwest Athletic Fields offers fields construction, laser grade, turf installation and turf solutions. Services such as field maintenance, turf company, sports construction management as well as sports field solutions are also part of the scope of our business. 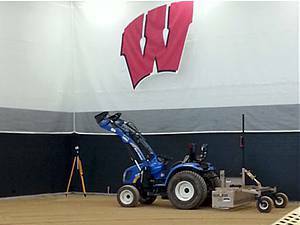 We also specialize in sports field management, sports field construction in Milwaukee, Madison, Appleton as well as Oshkosh. Other areas we serve include Green Bay, Wausau, Bloomington IL and Peoria IL. We also service Dubuque IA, La Crosse and beyond.